I love looking at kitchen designs. It seems as though white is the trend right now, but I'm not loving it. I prefer color. 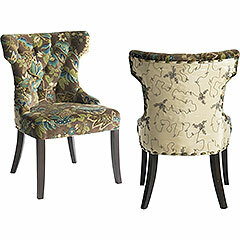 I love the pattern and softness of this chair from Pier One. It will go perfectly with the blue chair below. 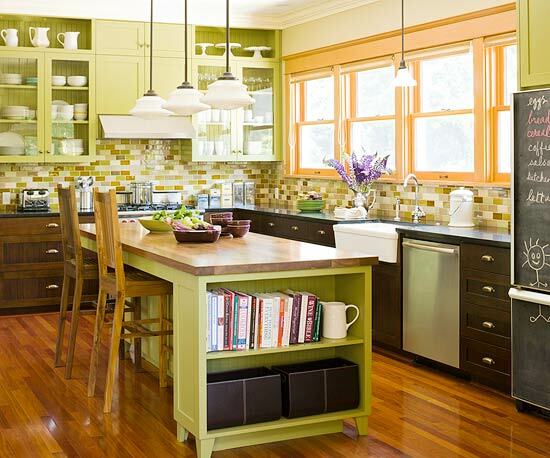 I love the idea of mixed materials and patterns. It brings so much warmth to the area. 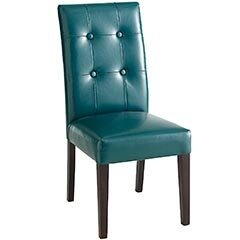 I am in love with this blue chair from Pier One. It is such a great color. I am thinking it would look great as a kitchen table chair. No dining room for me. Too boring. I would love an open floor plan where the kitchen, dining, living is one huge room. More room for guests and kids to get together! I'll have to convince my husband that one large sink is what we need. He's the dish doer and he likes the double sink. 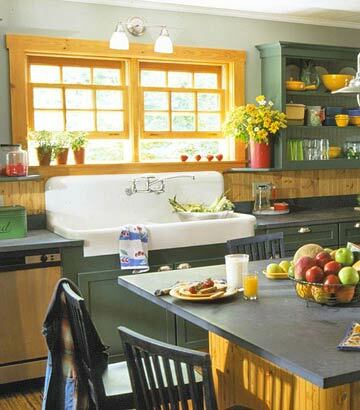 But this Farmhouse sink found on BHG.com is so cute I just gotta have it! 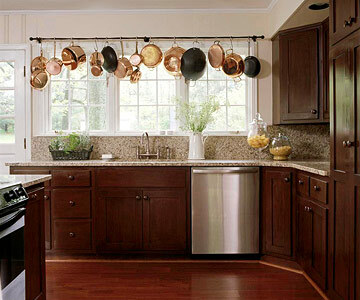 I love the pots hanging over the window in this picture from BHG.com I would need to get new pots, but that would be nice.